The fifth numbered entry in the broad series of nature-and-tourism themed open-world shooters, Far Cry 5 is a mess. Its story doesn’t make sense, its themes don’t cohere, and it fails to do any justice to its real-world setting, Montana, or the politics and people that comprise it. It does not, in any sense, represent progress for the world of big, expensive video games. Except for one moment. There’s a single mission that is everything Far Cry 5 isn’t — warm, humanistic, real. And it’s a mission that makes me think that, perhaps at the margins, this messy game has something to offer to gaming’s future. 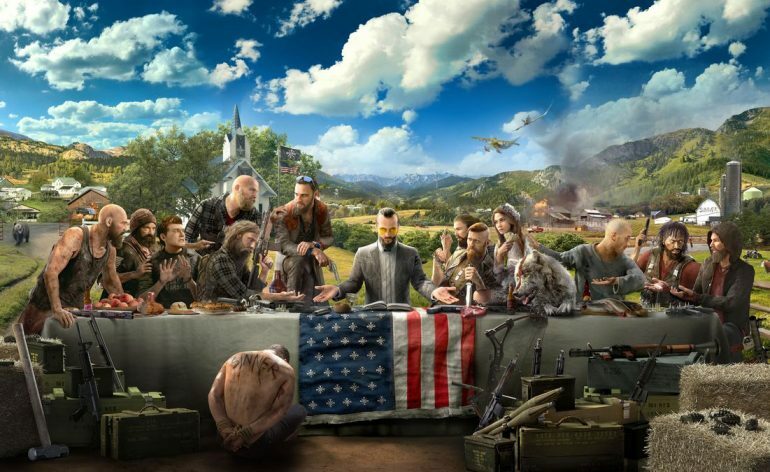 It occurs at what will be, for most players, roughly a third of the way through the game, as they start to wrap up the siege on John Seed, the first of three cult lieutenants in Hope County, Montana. Earlier, you can undertake a mission to help Nick Rye, a local pilot, liberate his plane from the cultists. During that mission, you briefly meet his wife, Kim, who is pregnant with the couple’s first child. It’s the typical Far Cry 5 mission, starting with glib irony and ending in a cacophony of explosions. But after that, you have the opportunity to do another mission for the Ryes. When you arrive at the Rye house, Nick is frantic. Kim is going into labor, and the couple needs someone to drive them to their doula, halfway across the map. You’re led to a truck and get behind the wheel, and the couple enters the backseat, Kim narrating her mounting pain as they stumble into the car. The rest of the mission is simple: you drive. It’s not an easy drive, but it’s also suspiciously devoid of the violence that suffuses most moments of Far Cry 5. There are some car wrecks and explosions nearby, to provide obstacles and ratchet up tension during the driving. But no one shoots at you. There are, so far as I could tell, no fatalities. Just a tense drive, and a loving couple in the back, talking about contractions, navigating the stress and terror of labor as Nick tries to give you directions to the doula while out of his mind with nerves. Big-budget games don’t normally do things like this. Their mechanics and worlds are usually marshalled purely toward the goal of escapism. Emotional resonance is valuable, sure, but only insofar as it serves the ultimate goals of the title. And if it doesn’t end in a climactic gunfight or other setpiece, it’s not valuable to the goals of triple-A games, where character and plot are so often beside the point. The feeling of power, and the joy of discharging it. That’s what these games are for. And when they do reach to broader plains of human experience, it’s typically through that lens: meditations on the abuse of power, warnings against violence, considerations of freedom and will. IT GESTURES, NOT TOWARD VIOLENCE PAST OR PRESENT, BUT TOWARD THE WARM COMMONALITY OF HUMAN EXPERIENCE. But this one mission in Far Cry 5 points in a different direction. It gestures, not toward violence past or present, but toward the warm commonality of human experience. It captures the pleasure of good family and the simple, low-stakes emotional experiences of its characters. It reminded me of the opening of 2014’s Middle-earth: Shadow of Mordor, which used a quiet scene of romance to teach the player the game’s systems before the carnage kicked off. But this moment isn’t a tutorial. It doesn’t lead to anything, except an unlockable t-shirt for your in-game avatar (some trappings of triple-A are, indeed, inescapable). It’s just there, in its own right, because someone somewhere in Ubisoft’s development pipeline thought it was fun, and sweet. This drive is also the only moment in Far Cry 5 to remind me of something from my own life. When I was 11, my sister gave birth to her first child. I remember my dad getting the call, late at night, while we were watching game shows on some lazy summer Sunday. My dad, my mom, and I piled into the car on the way to the hospital. Against advice, Dad insisted on driving, and the entire trip was perilous. He could barely remember how to work the car, or where to go, his nerves were so shot. He was going to have a grandchild. How could he possibly think about anything else? Nearly two decades later, I’m still amazed we didn’t crash. Driving Nick and Kim to their own future, I thought of that moment, and how easily Far Cry 5 conjured it when it tried. With the violence peeled away for just a moment, with the plot sidelined, this game managed to deliver something that felt like it was made — unlike the rest of the game — by and for real people, to touch some part of their authentic emotional experience. There’s a lesson in that, if other games care enough to look.